This is a post by Free Homeschool Deals contributor, Tara at Homeschool Preschool. Spring is such a wonderful season for fun resources! 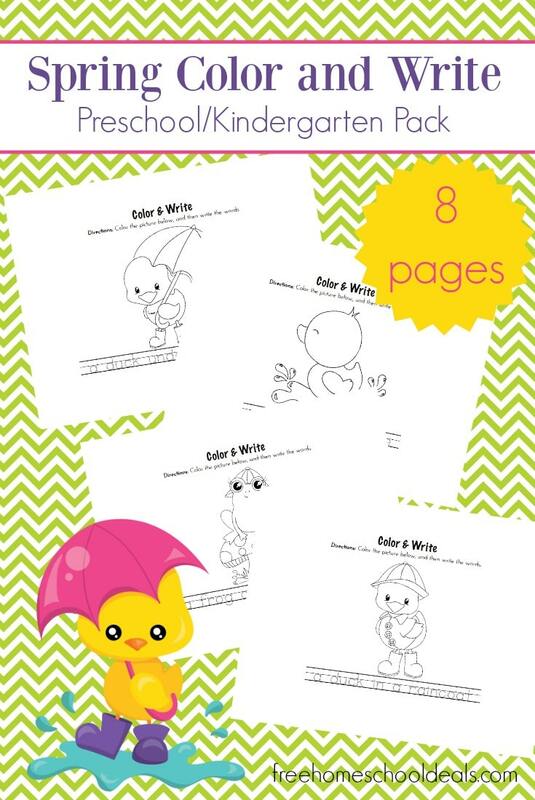 You’re going to enjoy these Spring Color & Write Pack which you can incorporate into your spring homeschool preschool and Kindergarten lessons. These spring-themed activity pages will help your young learners work on fine motor skills as they color each picture and trace each caption. This will also help your preschoolers practice proper letter formation. Coloring pictures will help them build motor skills and pencil control. Download this Spring Color & Write Pack!